If you were born in December, then you’re lucky enough to have the brilliant turquoise as your birthstone. Turquoise is a gorgeous blue-green stone with a rich history full of lore and legends. You may be familiar with some of turquoise’s famous appearances in history, such as the Sleeping Beauty turquoise mine in Arizona, or the Persian turquoise tiara worn by Queen Mary back in her day, and most recently, by Queen Margaret up until 2002. 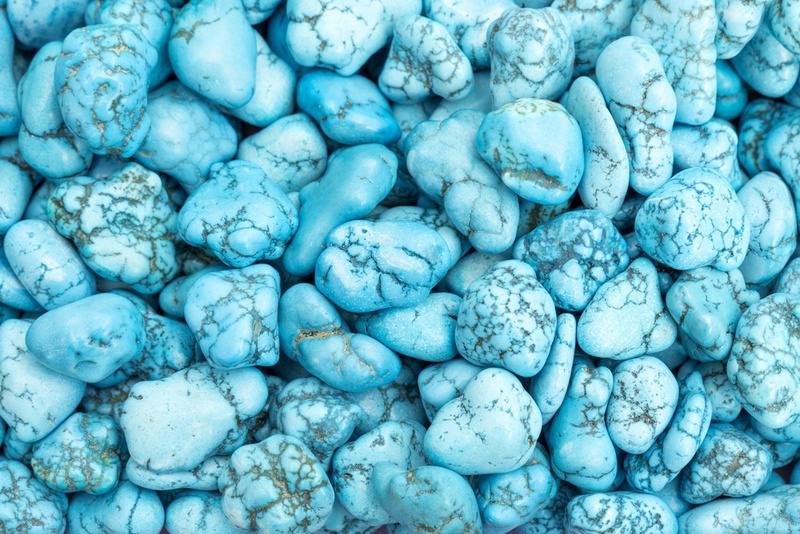 Here’s everything you need to know about turquoise, the December birthstone! 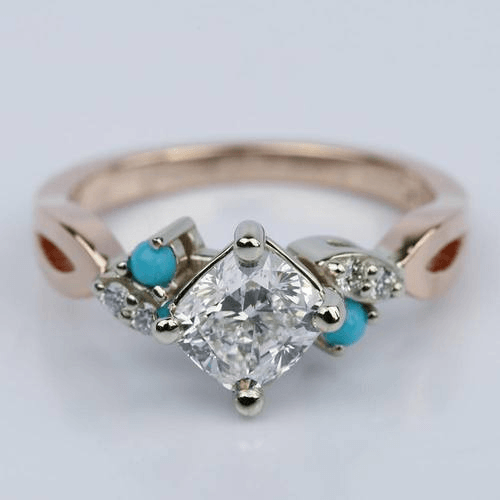 What’s the Meaning of the Turquoise Birthstone? The turquoise birthstone is said to represent a host of positive personality traits, including happiness, honesty, and spirituality. It’s also said to represent strength, serenity, and creativity. If you were born in December, then you have prosperity in your future, and potentially the chance for rebirth. Native Americans and ancient Persians alike have abundant mentions of turquoise in their lore. For instance, the Apache tribe lived by the mantra that turquoise arrows or bows shoot true and ensure prosperous hunts. Navajo Native Americans believed that turquoise would bring rich harvests in the form of rain, while ancient Persians believed that if you could see the reflection of a new moon on the surface of a turquoise stone, it would bring you great luck. Modern medicine can’t vouch for the healing properties of turquoise, but we can always look back on these medical uses the spirit of fun. It was once said that turquoise could cure breathing problems, heal infections, improve your vision, and fix depression or anxiety! Reminding loved ones of positive virtues such as strength or creativity. The best part is, turquoise jewelry is an inexpensive gemstone, which makes it easy to incorporate into both fashion and fine jewelry! 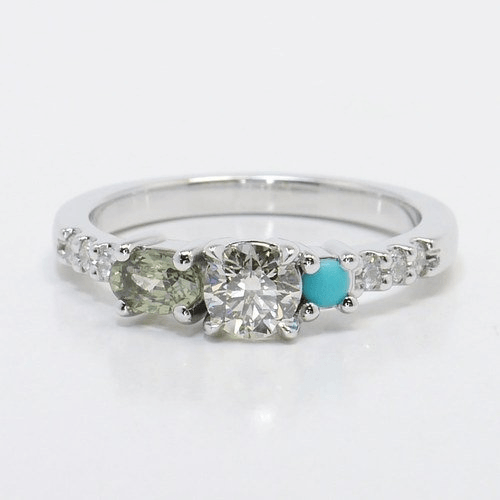 Whether you’re looking for a turquoise birthstone ring, earrings, bracelet, or necklace, there’s sure to be a great choice available for any occasion. 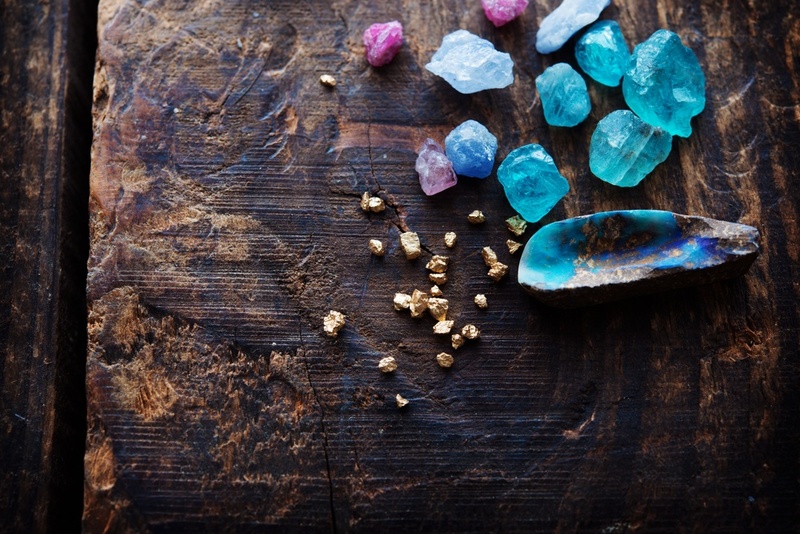 What Makes a Brilliant Turquoise? The perfect turquoise is bright blue, uniform in color, without much yellow or green. The more yellowish the stone, the more iron it includes. Some stones have inclusions, or black spider-web designs, that are part of the host rock where it formed. Whether you want inclusions or not is a matter of personal taste, but generally, more inclusions tend to decrease the stone’s value. Treat yourself (or your loved one) to a beautiful turquoise piece that’s full of meaning, with plenty of legend and lore behind it. Turquoise, the December birthstone, is such an important (and appealing!) gem on its own that you simply can’t go wrong with turquoise jewelry.